A perfect place for nature enthusiasts, Kabini region is located on the banks of River Kabini. A wildlife region, it was a private hunting lodge of India’s imperial Kings and British Viceroys. It has got recognition as one of the best sanctuaries of Karnataka. Amiable beauty of Kabini is further augmented by tranquil lakes, varied flora and fauna and not to forget, the elephants. A popular destination among nature lovers, it is a fine-blend of clammy, tropical and dry and deciduous types of forests. Densely forested province, wild animals, variety of bird species, and copious herds of elephants make the Kabini Wildlife Sanctuary in Karnataka more appealing and idiosyncratic. Apart from elephants, one can also take a view of other animals like ambar, chital, sloth bear, crocodile, tiger and leopard. This sanctuary also houses around 250 species of birds. The large number of activities in Kabini can certainly fill up your vacation with zest, fun and escapade. Another popular place to visit in Kabini is the Brahamagiri Sanctuary, an evergreen forest wildlife sanctuary; it is also an abode of several tribes. Another major draw of this area is Irpu Waterfalls, also known as Lakshmana Tirtha. 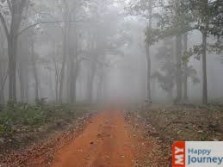 It is surging from 60 meters height sited in the heart of blooming green forest and imposing Western Ghats. It is also a renowned Hindu religious place as here Irpu waterfalls join River Kaveri at another side. Some other places of interest are Rameshwara temple, Kutta and Nagarhole national park. Jungle Safari, Elephant Safari and Trekking are the most cherished activities for tourists in Kabini. Kabini is exceptionally enthralling, owing to the magnificent waterfalls, elegantly flowing waters of the river Kabini and the most stunning milieu of greenery; it certainly makes the whole experience an unforgettable one.